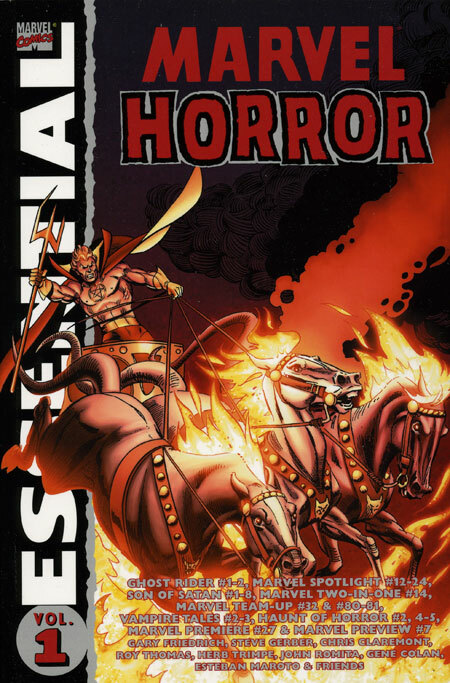 This entry was posted in Horror, Marvel Essentials and tagged Chris Claremont, Esteban Maroto, Gary Friedrich, Gene Colan, Herb Trimpe, John Romita Sr., Marvel Horror, Roy Thomas, Steve Gerber. Bookmark the permalink. Pingback: Throwback Thursday – Essential Marvel Horror Vol. 1 – WORST. COMIC. PODCAST. EVER!